Operation Overlord was an Allied landing in France that was scheduled for June in 1944. The operation had many commanders but the overall commander was General Dwight Eisenhower. Operation Overlord is not only notable for the significance it would have in World War II but also use it was an operation that required the kind of logistics that were unprecedented before it. The element of surprise was essential for the operation to succeed, keeping it top secret was a challenge however because of the many parties that participated in the landings, beside the Americans there were also British troops and members of the French resistance present at operation Overlord. Senior U.S. officers watching operations from the bridge of USS Augusta (CA-31), off Normandy, 8 June 1944. 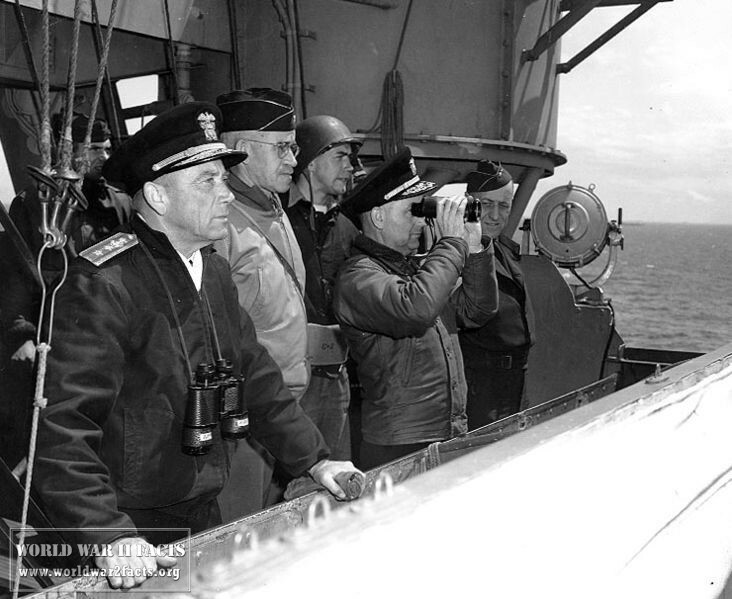 They are (from left to right): Rear Admiral Alan G. Kirk, USN, Commander Western Naval Task Force; Lieutenant General Omar N. Bradley, U.S. Army, Commanding General, U.S. First Army; Rear Admiral Arthur D. Struble, USN, (with binoculars) Chief of Staff for RAdm. Kirk; and Major General Hugh Keen, U.S. Army. The decision to land on Normandy was a risky one but the beaches weren't very well suited for landing that much equipment and that many troops. One of the earlier attacks that predated Operation Overlord was named COSSAC which stood for Combined Anglo-American plan. The plan was the use of airborne bridges to protect the landings and this plan was ultimate added to Operation Overlord was Montgomery. He wanted that the five beaches of Normandy are attacked by the land and sea forces while air forces served as support. Eisenhower supported Montgomery's plan as well and Operation Overlord was more or less how Montgomery wanted it, the only difference was that Montgomery wanted to land five divisions while Eisenhower wanted to have a lot more men, he wanted to have at least 18 initial divisions with a contingency for more later on. 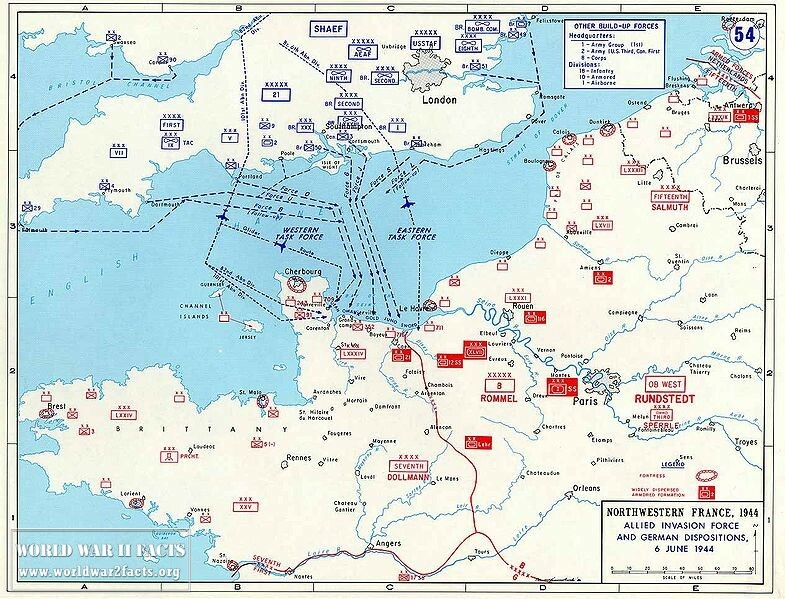 This operation was like no other in history because of the massive amount of equipment and troops involved, one of the most important parts of the operation was keeping it top secret because the main idea of the operation was to catch the Germans off guard, but if the Germans got wind of Operation Overlord it could turn out disastrous. What the Allies did was present Pays de Calais as the main target so Germans don't expect a full out attack on Normandy. The operation required so much equipment and logistics that it was a logistical nightmare, over 100,000 troops and more than 13,000 vehicles. 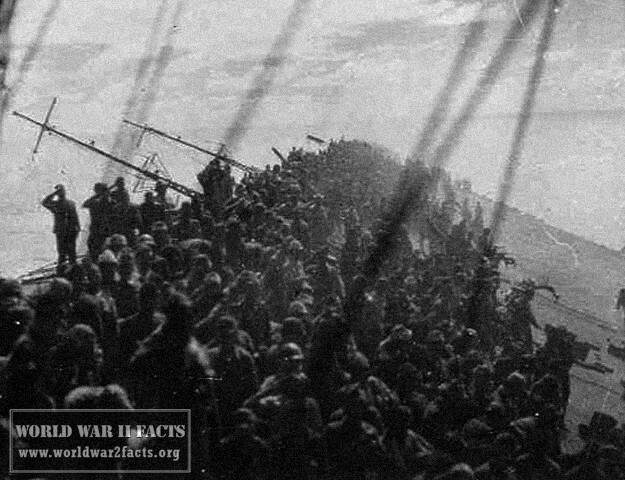 The operation even included a man-made harbor that would make it easier to land both troops and equipment. Overlord ultimately had around 3,000,000 men in 47 divisions that were transported with 6000 ships and were protected by over 5000 fighter planes. The success of operation Overlord shouldn't come as a surprise to anyone who's familiar with how much military planning was done. Troops in an LCVP landing craft approaching "Omaha" Beach on "D-Day", 6 June 1944. Note helmet netting; faint "No Smoking" sign on the LCVP's ramp; and M1903 rifles and M1 carbines carried by some of these men. This operation was planned out so well that it would have been surprising if it failed especially if one takes into account the state of the German military at the time. 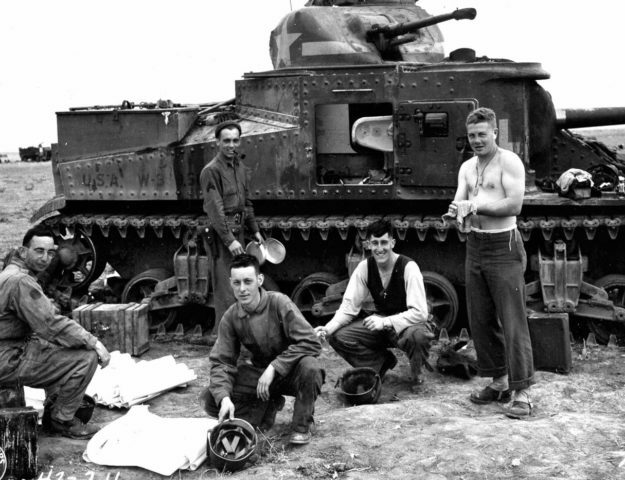 The training of the Allied troops was a testament to how well prepared the operation was, the troops to be were trained with live ammunition on terrain that closely resembled the place of invasion. They were trained how to properly operate in teams and use teamwork to their advantage even in getting rid of obstacles like enemy gun placement and trenches. 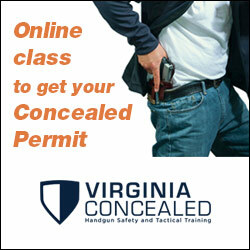 Special units were trained in taking out special targets such as close range artillery. Napoleon famously said "an army marches on its stomach" in modern times supplies are the equivalent of what food was in Napoleon's time. 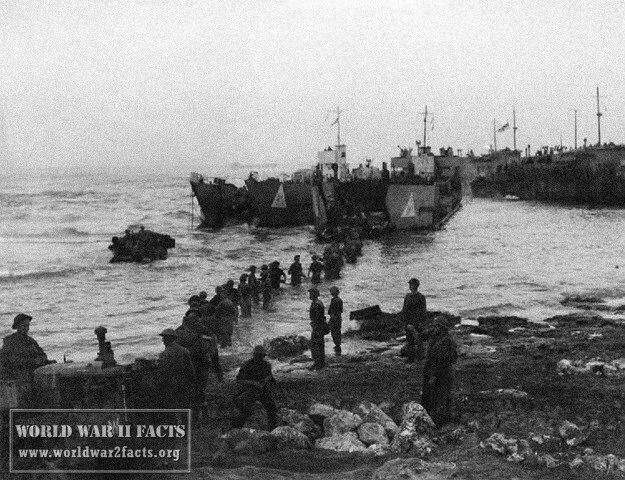 For the supplies during Operation Overlord two artificial harbors were created and were to serve as the primary location for unloading the supplies from ships to the shore until the port was available. Unfortunately a violent storm destroyed one of the harbors and severely damaged the other so it was decided to unload the supplies directly on the beech which all in all proved to be much more efficient than anybody thought. Even though Operation Overlord was the first part of what would go down in history as The Invasion of Normandy or the Battle of Normandy, as many people don't know it's name. It is significant because it would be the first part of an operation that would turn the tide in the war against Germany for good. Most people remember the day that contributed to the ending of the way, D-Day which was in fact the first day of the Invasion of Normandy. BBC Operation Overlord Tutorial, last accessed April 10th, 2013. 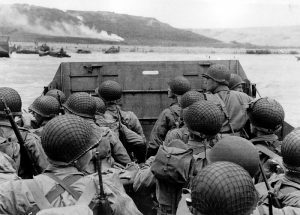 Booknotes interview with Stephen Ambrose on D-Day: June 6, 1944, last accessed on April 10th, 2013. Leighton, Richard M. (2000 (reissue from 1960)). "Chapter 10: Overlord Versus the Mediterranean at the Cairo-Tehran Conferences". In Greenfield, Kent Roberts. Command Decisions. United States Army Center of Military History. CMH Pub 70-7. Guide to materials on the planning of Operation Overlord at the Dwight D. Eisenhower Presidential Library, last accessed April 10th, 2013. U.S. Army's official interactive D-Day website, last accessed 10 April 2013.